The perimeter security deal — to be phased in over several years — aims to smooth the passage of goods and people across the 49th parallel while bolstering defences along the continental border. The February 2012 briefing notes, obtained by The Canadian Press under the Access to Information Act, provide fresh details about how the two countries will co-operate more closely on documenting and controlling the movement of citizens and visitors. 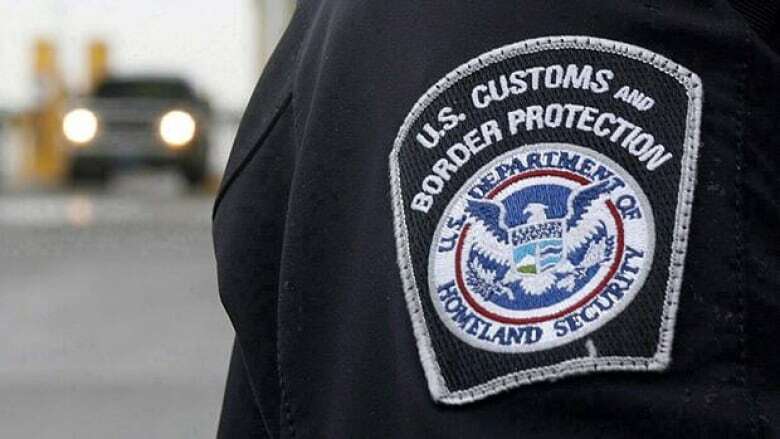 Citizenship and Immigration is the lead department on 10 perimeter security initiatives, the most contentious of which may be a plan to keep track of everyone entering and leaving the country, with the help of information from the U.S. In turn, Canada will help Washington accomplish the same feat by systematically providing information on all travellers entering Canada from the U.S. The plans entail greater exchange of both simple biographic and biometric data, to be governed by a forthcoming Immigration Information Sharing Treaty, say the notes. A Citizenship and Immigration spokeswoman had no readily available details on the plans for "practical asylum co-operation" to deal with irregular refugee flows — presumably a spike in arrivals due to political upheaval or natural disasters in other countries. However, the documents say bilateral discussions will result in "a joint action plan" within the next year to build on "established refugee protection principles and explore new modes of asylum co-operation" beyond the existing Safe Third Country Agreement. Under that agreement, a refugee claimant must apply for asylum in whichever of the two countries they arrive first. Canada and the U.S. have appreciably different ways of dealing with some kinds of refugees, said Roch Tasse of the Ottawa-based International Civil Liberties Monitoring Group. "This raises flags as to what they will agree on down the road," Tasse said in an interview. "We know that the Safe Third Country Agreement is already problematic. There are people who would be eligible in Canada that are not eligible in the U.S. But, because they arrived through the U.S., (they) are refused into Canada, and the U.S. deals with them the way they want." The two countries will also begin automatically sharing information by 2014 about people booted out for criminal behaviour. Details of two Immigration initiatives designed to help establish traveller identity have been blacked out of the documents. One is a joint project with the RCMP while another involves the Mounties, the Canada Border Services Agency and the Immigration and Refugee Board. The government insists that none of the initiatives in the perimeter security plan cede sovereignty or decision-making ability. The federal privacy watchdog says the perimeter deal puts the personal information of Canadians at risk because in some cases it allows the U.S. to pass that data to other countries without permission. A set of overarching principles on how information would be handled under the security pact, released late last month, would allow details about Canadians to be transferred to a country with a poor human rights record, says the privacy commissioner's office. Tasse said a disparity in privacy standards between the two countries means the security deal is likely to result in less control over the personal data of Canadians. "We'll continue to have a good regime in Canada, but we're passing on more information to a weaker privacy regime in the U.S. over which we'll have no control." The two countries have already held several meetings on information sharing "to work through barriers, irritants and inefficiencies" identified by both countries, say February briefing notes prepared by Public Safety Canada. Officials observed that the two countries have very different frameworks for sharing data and protecting privacy, but share "nearly identical" objectives. "Misconceptions, not structural problems, are behind many of the challenges we have identified," say the notes. "Confidence is key: we want to have confidence in U.S. systems, just as they want to have confidence in ours." Should U.S. police have powers to make arrests on Canadian soil?